3 Bedroom / 2 Bath / 1,023 sq. ft. 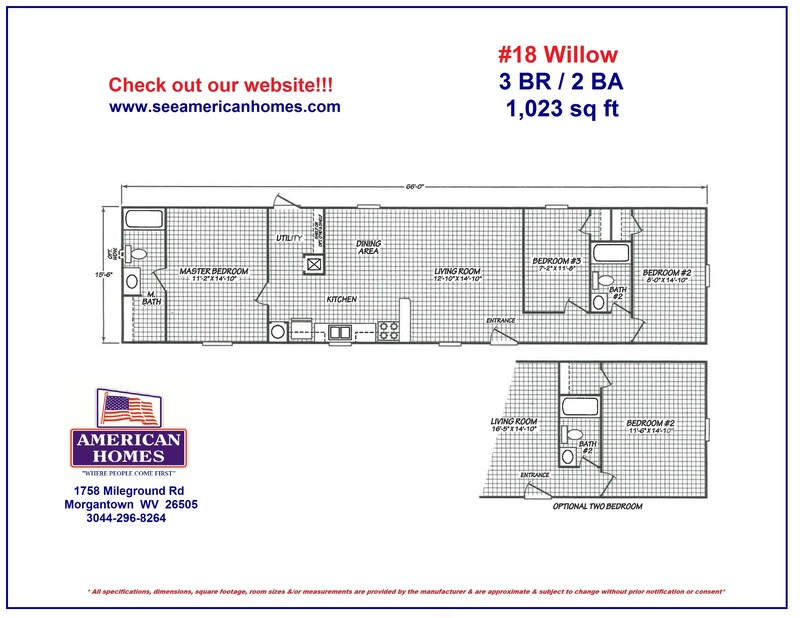 The Willow, our most economical home with 3 bedrooms and 2 baths, has lots of charm with its open floor plan and wood grain flooring throughout. This home is one of our best-sellers!